Some meter maids need to be put to better use. Every street food vendor needs a hook to survive on the ever crowding streets of San Francisco. 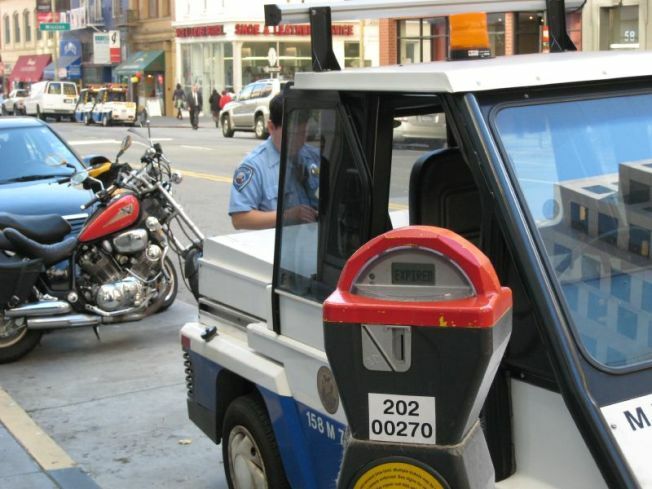 For Banh Mi SF it is serving Vietnamese sandwiches from the back of a Cushman meter maid tricycle. Leave it to a street food vendor to attempt to turn San Francisco's most hated vehicle into something delicious. Banh Mi will begin serving the meat filled baguette next week, according to Mission Mission. And like all good street food vendors the owners of Banh Mi SF will use Twitter to announce the whereabouts of the former parking enforcer. We hope the sandwiches are good or some angry customers might have a strong inclination to flip the tricycle.